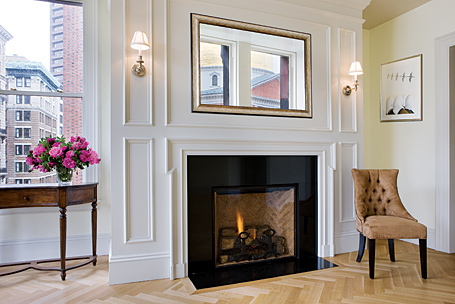 Anderson Fireplace is proud to offer you a full array of direct-vent gas fireplaces to choose from. We have teamed up with what feel are the best fireplace manufacturers in the industry. It is our pleasure to have fully functioning fireplace displays from Napoleon, Majestic, White Mountains Hearth, Town & Country, Valor, Mendota, and European Home. 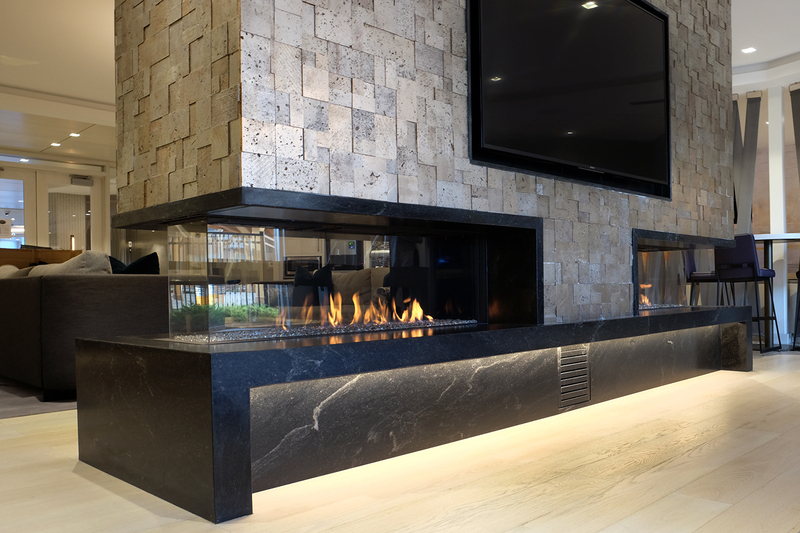 Each manufacturer is represented in our mix of over 40 fully functioning fireplace displays. A direct vent zero clearance gas fireplace is a fireplace that can be installed inside a wood framed structure. There are two common attributes to direct vent fireplaces. They include a sealed glass front which always remains closed and a double walled vent system that both allows air intake and exhaust at the same time. The inner part of the vent is the exhaust and that sits inside a larger vent pipe which draws in fresh air from the outside. The beauty of this system is that it allows the fireplace to be very efficient and most of the heat they produce is radiated back into the room, rather than lost through the flue pipe, like in a regular wood burning fireplace. They are the most common type of gas fireplaces that are available today. A direct-vent gas fireplace can be added to almost any home, regardless of whether you are remodeling or adding an addition, or even if you are not planning any construction projects. If you are in need of a contractor, plumber, or electrician we can usually make some recommendations based on your location.